Australia’s most economically vibrant state, New South Wales (NSW), has announced plans to invest AUD$3 billion ($2.2 billion USD) in a new light rail line for Sydney, the latest in a series of infrastructure projects designed to meet the needs of the city’s burgeoning population, according to a report in Salini Impregilo’s online magazine We Build Value. The state government made the announcement on June 19 when its treasurer, Dominic Perrottet, presented the budget for 2018-2019. The amount of funding that the government is giving to the project is part of a record AUD$87 billion that the budget has earmarked for infrastructure for the next four years. “This Government is making this project a reality,” Perrottet was quoted as saying in a statement released by Transport for NSW, which oversees the development of the state’s transport projects. It is also the first time that the government has committed money to the project since plans for its development were unveiled in 2016. Sydney Metro West is the third and final part of Sydney Metro, the country’s biggest public transport project that will connect the city center with the surrounding suburbs. The other two parts of the Sydney Metro are Sydney Metro Northwest and Sydney Metro City & Southwest. Salini Impregilo built a crucial section of Sydney Metro Northwest: a 4-km viaduct and a 270-m, curved cable-stayed railway bridge, the biggest of its kind in the country. Once all three parts are completed, Sydney Metro will have 31 stations and more than 66 km of metro rail. It will have a target capacity of about 40,000 passengers per hour compared with 24,000 per line under the current suburban system. Sydney Metro will increase the capacity of train services entering the city center from about 120 an hour to up to 200 beyond 2024 – an increase of up to 60%. Sydney Metro West will serve the key precincts of Greater Parramatta, Sydney Olympic Park, The Bays Precinct and downtown Sydney, known as the Central Business District, or CBD. A leading newspaper, The Daily Telegraph, welcomed the news, explaining how the new service would make it far more easier for residents in the nearby urban center of Parramatta to travel to Sydney’s CBD. The state government intends construction of Sydney Metro West to start at the beginning of 2020 and finish in about five years, according to a recent report by The Daily Telegraph. The state government website said more mass transit services was needed between Parramatta and the Sydney CBD because an extra 420,000 people were expected to move into the corridor between the two during the next 20 years. In addition, more than 300,000 new jobs were expected to be created by 2036 along the corridor, which includes the Olympic Park. Sydney Metro West is strongly supported by residents. A poll published on June 6 by tabloid Sydney Morning Herald showed how 63% of respondents ranked it among their top three priorities. In presenting the budget, Perrottet said the bulk of the funds assigned to infrastructure would go to major road and public transport projects already under way, including WestConnex, NorthConnex. Salini Impregilo is on the shortlist to build a section of WestConnex. New South Wales is the most populated state in Australia, with nearly 8 million residents as of December 2016. About 62% of them live in Sydney. The population is growing rapidly. At 106,100 people a year, it is the fastest in the country. Sydney also has one of the highest population densities in the state, with 391 people per square kilometer, highlighting the need for more public transport and other services. The state government has been able to invest such large sums of money in infrastructure because the economy had been exceptionally strong during the last few years, with the outlook for growth remaining above trend this year and the next two years. 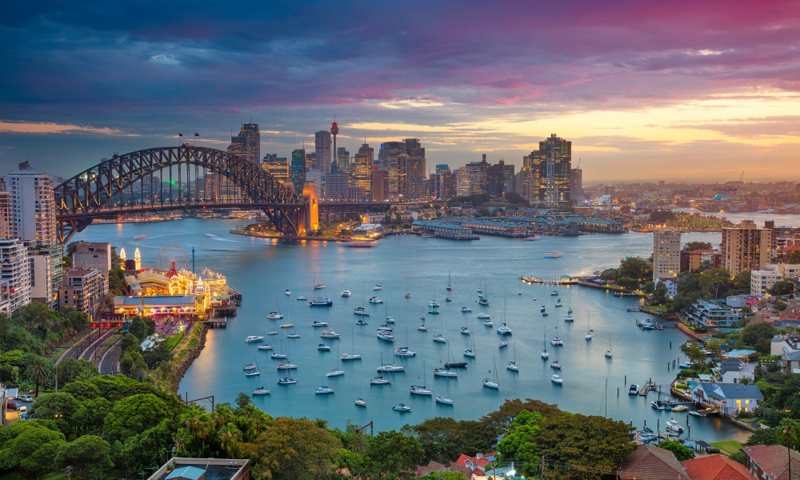 “In per person terms, New South Wales has been the fastest growing state economy over the past three years thanks to strength in household consumption, dwelling investment and public investment,” read a state government statement. It said this “once-in-a-generation” infrastructure investment was helping drive the unemployment rate down to near record levels. “The State’s economic boom is forecast to continue, with the record infrastructure program contributing to a pick-up in business investment,” it said. This article originally appeared in Salini Imprgilo’s online magazine, We Build Value.